North America is the third largest continent in world, ranking just below Asia and Africa (which are the first and second largest continents, respectively). North America covers an area of 24.71 million square kilometers or 9.54 million square miles. This means that 16.5% of the Earth’s total land area is taken up by North America alone. Despite being the third largest continent in the world, North America only ranks fourth when it comes to population. It is outranked by Europe which has a population of 739 million (North American only has 461 million). The word “America” comes from the name of Italian explorer Amerigo Vespucci. He is the first person to have realized that the West Indies and Brazil are actually not connected to Asia (as what most people have conjectured from the voyages of Columbus), but are part of another separate landmass of their own. The name “America” used to refer to only South America alone. However, when the land mass of present North America were added to maps, most mapmakers opted to retain the original name. North America is contained entirely within the Northern and Western Hemispheres. Gerard Mercator, a geographer, was the first documented mapmaker who chose to name both the north and south parts of the American landmass as “America” in 1539. North and South America are usually considered as subcontinents, while America is the larger continent of which these two are part of. The most dominant languages in North America are Spanish, French, and English. There are also a large number of people who speak Danish, but they are mostly confined to Greenland. With an area of almost 10 million square kilometers, Canada is the largest country in North America. It is followed by the United States (9.9 million square kilometers), Greenland (2.2. million square kilometers) and Mexico (2 million square kilometers). Based on mitochondrial evidence, scientists have concluded that all Native Americans come from a single population group that lived during the time of the last ice age. This population then boomed for the next thousand of years and is then conjectured to have spread quickly throughout the Americas via the Pacific Coast route. The first Native Americans are believed to have migrated from Asia through a land bridge that once connected the two continents more than 15,000 years ago. Two of the world’s largest tectonic plates are in North America. They collide frequently along California and Alaska, which usually causes violent earthquakes in the area. North America’s lowest point is the Badwater Basin, located in Death Valley National Park, Inyo County, California. It has a surface elevation of -86m and is 282 feet below sea level. North America is divided into four main geographic regions: the West (includes most of Mexico, the Rocky Mountains, Alaska, California,), East (Florida, the Appalachian Mountains) Great Plains (prairies in Canada and the central United States), and the Canadian Shield. North America’s highest point is Mount McKinley (also called as Denali), which is a mountain peak located in Alaska. It has a summit elevation of 20,310 feet above sea level. United States and Mexico are the most populous countries in North America, with a population count of 318.9 million and 122.3 million, respectively. Mount McKinley or Denali, considered to be the highest point in North America, is the third most prominent as well as the third most isolated mountain peak after Mount Everest in Nepal and Aconcagua in Argentina. Death Valley, where North America’s lowest point is located, is also where the world’s highest air temperature was recorded. The reading of 134 degrees Fahrenheit was taken on July 10, 1913 at the aptly-named Furnace Creek. The most populous city in North America is Mexico City, with a population of over 21 million. Following closely behind is New York City, with a population of 20 million. 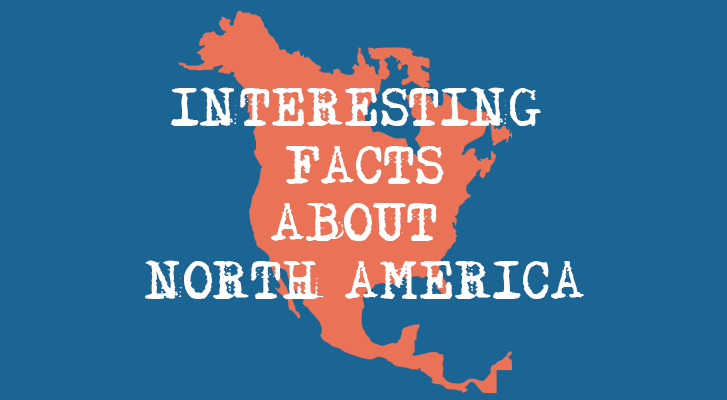 North America encompasses 23 sovereign countries and 25 dependent territories. North America is also notable for having the most number of Olympic gold medal winners as of this present time. North America is the only continent in the world that has all climatic types. 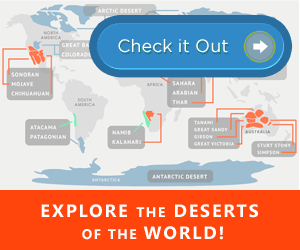 It has savanna and tropical rainforest in Central America, tundra in the northern parts of Canada and Alaska, and permanent ice cap in Greenland. There are also semi-arid and desert conditions near areas surrounded by high mountains. Three of North America’s largest urban agglomerations are located in the United States: Chicago, Los Angeles, and New York City. The world’s longest coastline is in North America. Canada has a coastline of 202,080 square kilometers, more than twice as big as Norway’s (83,280 square kilometers) which comes next to it in the list. Of the 5416 known and named species of mammals in the world, 965 can be found in North America. Famous North American mammals include deer, coyotes, deer, possums, beavers, bears, wolves, squirrels, and rabbits. Death Valley, where North America’s lowest point is located, receives less than a cupful of rainfall per year. It is considered as the continent’s driest region. Gray whales are one of the most epic creatures that reside in North America. They circumnavigate the length of the continent every year; they spend the winter in the warm lagoons of Mexico, then move on to the colder waters of the Arctic Ocean in the summer. The west coast of North America is prone to seismic activity. Mexico, in particular, has suffered the brunt of some devastating earthquakes in recent times. The world’s largest fresh water lake is in North America. Lake Superior, located on the border of United States and Canada, has a total surface area of 82,100 square kilometers. It is also the largest of North America’s Great Lakes. Dolphins in North America (particularly those living in the Mid-Atlantic coast) exhibit a certain behavior that can’t be seen anywhere else in the world. They operate as a single unit, to drive fish to land in order to catch it for food. The lion’s mane jellyfish, usually found near the Californian coast, is the world’s largest jellyfish. Its tentacles can grow up to sixty feet in length, and its body can span 10 feet wide. Over four hundred tornadoes rip through the prairies in North America on a yearly basis. John Rut sent the first letter from North America in 1527. The letter was sent from St. John’s, Newfoundland, to King Henry VIII in England. North America has been host to the Olympics twelve times. The first North American country to host the event was the US, in 1904. North America grows half of the world’s corn supply. The term North America encompasses different countries according to context. North America is usually referred to only Canada and the United States together, but in some cases, Greenland and Mexico can also be included. Cratons are considered as the geological heart of continents because they are located near the center of tectonic plates and are usually very stable. The craton of North America is called Laurentia. Are there facts about North America that you find interesting that we missed? Please share them in the comments section below!